Take advantage of Direct Deposit Options, and our Transfer Payment Program. With these convenient services, you’ll never have to worry about making payments on time – the funds are automatically transferred from your account each month. You can also skip a loan payment once every 12 months on any type of loan except a mortgage, home equity loan, or home equity line of credit. To skip a payment, please stop by one of our offices to fill out a form or call us and we’ll mail it to you and you can mail it back. 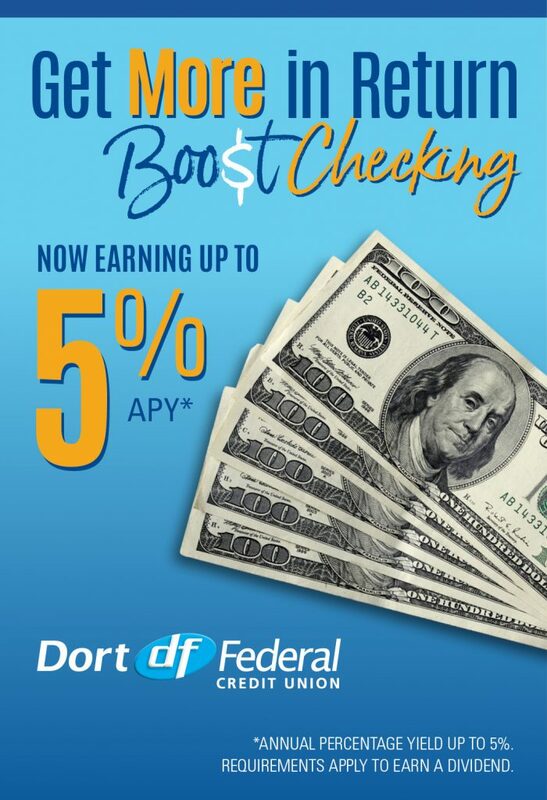 Dort Federal Credit Union offers a variety of lending programs. For the most current rates please visit our Loan Rates page.